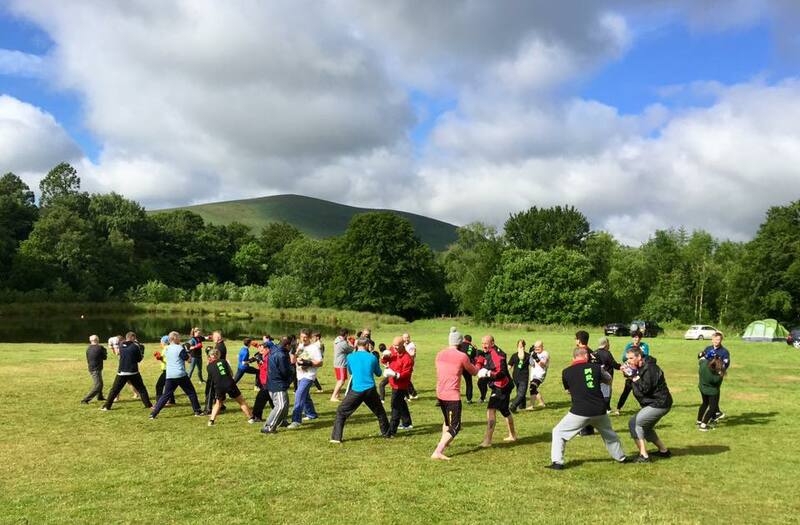 Yet again, this year’s Tukido Camp proved to be a memorable experience for members from all clubs who came together to camp, cook, train, compete, grade and socialise in the idyllic setting of Wiston Lodge. While the weather was a mix of rain and sunshine, this definitely did not put a dampener on the students spirits, two of which have provided their camp experience. Lying on my back in the wet grass at Witson lodge with rain hitting my face and soaking my clothes while doing abdominal exercises I thought to myself “I would not want to be anywhere else”. 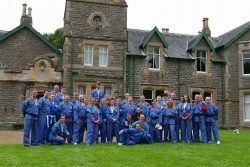 Tukido camp 2017 was an experience that was not only filled with excellent training and instruction from Grandmaster Teh but was full of laughter and the development of new and the strengthening of old bonds and relationships between instructors and fellow students. With many preparing for grading’s, nursing injuries or experiencing their first Tukido camp everybody was supportive and encouraging throughout. I was personally nursing a calf injury and was frustrated that I couldn’t train at my normal intensity but Grandmaster Teh and the other instructors understood I needed to be sensible and encouraged me and lifted my spirits which resulted in me taking part in my 3rd Dan grading. The determination and effort put in by all students taking part at the coloured and black belt grading’s was inspirational. It’s difficult to write a brief piece or pick a single moment from such a brilliant training camp full of so many highlights but my lasting memory will be the training sessions, the supportive atmosphere, amazing cooking from Mr Waters and the camp fires in which all the students and instructors from all the Tukido clubs talked and laughed about the days exploits. I can’t wait for the next Tukido training camp. The week before camp I turned into the unofficial weather forecaster, I was really looking forward to going to camp after hearing all the stories about previous camps. When arrived on the Thursday at 11am the weather was wet and windy as we put up our tents, which we did as quickly as possible to provide ourselves with some shelter from the elements. At about 5pm we all heard the horn been blown and everyone started to get ready for our 1st training session at 5.30pm Grandmaster Teh. When he arrived he started to get everyone motivated from the very first words that came out his mouth and no one cared about rain or lying on the wet grass. Camp to me was a chance to get to know other students and instructors on a more personal level, instead of just the brief chat before and after classes, and in the process I have made new friends out with the Motherwell Club . I was also looking forward to learning new techniques and improve my fitness levels which camp definitely delivered. Additionally, I was sitting my black belt grading at camp and because we had been training for the couple of days before the grading I didn’t feel as nervous as I think I would have been. 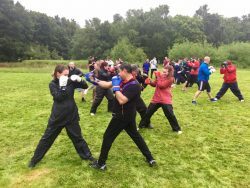 It gave everyone participating in the grading an opportunity to receive specific advice training under Grandmaster Teh on areas to brush up on to produce our best performance on the day. Overall the camp to me was a great experience and one I didn’t think I would have enjoyed as much we had a great group of people and I will definitely be going to the next one at Wiston lodge.